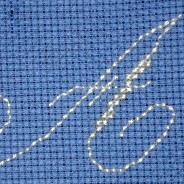 You are viewing page 2 of 5 from our list of great Embroidery Stitches & Patterns projects, patterns and tutorials. A bit of scrap fabric and an embroidery hoop might just be the secret to speeding up your projects and making them a bit more durable. This embroidery pattern may be over 100 years old but its appeal is timeless. 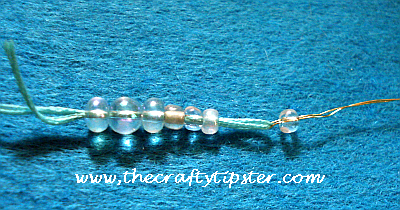 This cross stitch bug pattern is easy to stitch and quite pretty when done. Continue reading"Cross Stitch Bug Pattern"
This is the first of what will hopefully be many repeating cross stitch background patterns that I will be sharing with everyone. This one was originally designed by Therese de Dillmont. 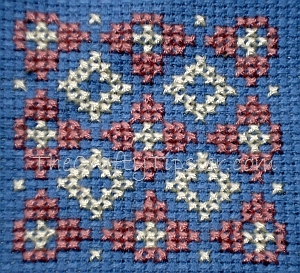 Continue reading"Cross Stitch Background 1"
Our second cross stitch alphabet pattern is for another vintage design. It stitches up somewhat large which would make it better suited for monograms and crafts than a traditional cross-stitch sampler. Continue reading"Vintage Cross Stitch Alphabet 2"